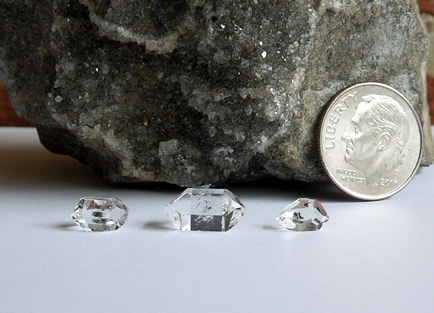 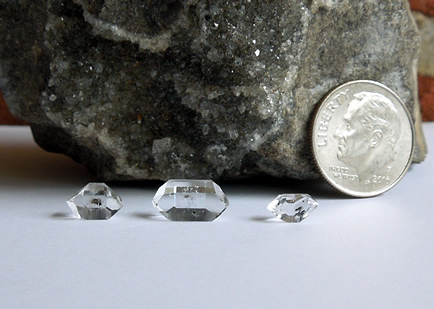 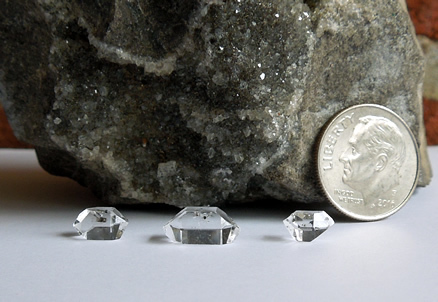 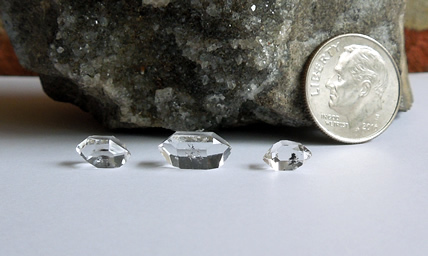 7x4.5x3.5 mm / .65 ct.
9x5.25x4.25 mm / 1 ct.
10.75x6x4.75 mm / 2 ct.
All three Herkimer quartz crystals have a bit of black hydrocarbon (anthraxolite) which gives them a rich hue. 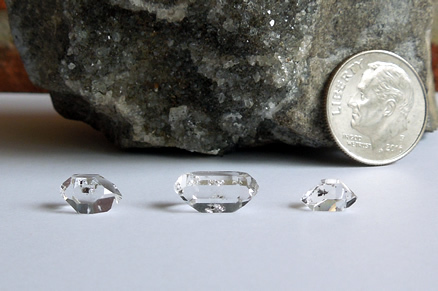 The 10.75 mm Herk contains a seed crystal. 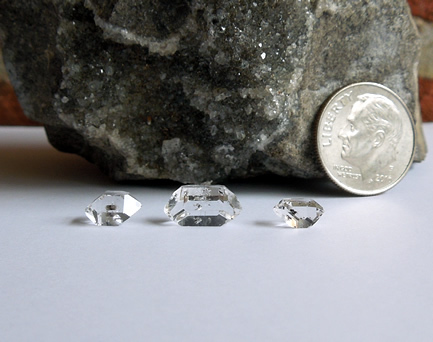 Group of three quality Herkimer quartz crystals for sale.